HSBC says its use of distributed ledger technology over the last year to settle more than three million foreign exchange transactions has proved a big hit. The bank has used its HSBC FX Everywhere platform to orchestrate payments across its internal balance sheets, making more than 150,000 payments worth $250 billion. Using a shared permissioned ledger, which provides singularity, transparency and immutability, transforms the process around intra-company foreign exchange activity, says HSBC, automating several manual procedures and reducing reliance on external settlement networks. 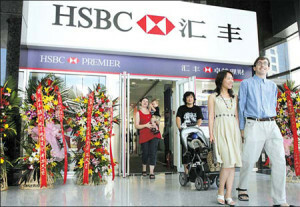 Richard Bibbey, interim global head, FX and commodities, HSBC, says: “The global, cross-border nature of HSBC and its clients sees us conducting thousands of foreign exchange transactions within the bank, across multiple balance sheets, in dozens of countries. HSBC FX Everywhere uses distributed ledger technology to drastically increase the efficiency of these internal flows. © Copyright 2019 Singfin Limited.